On January 15th, 2016, Jordi Cotela presented his PhD thesis entitled Applications of turbulence modelling in civil engineering. 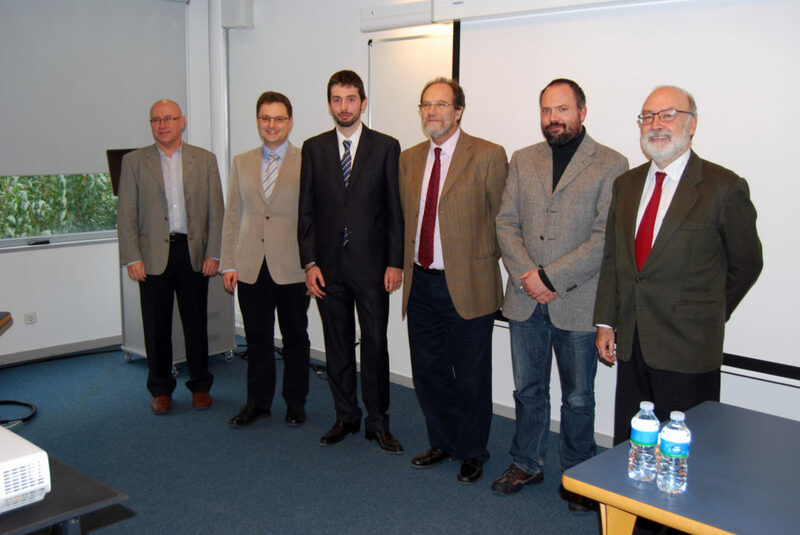 The members of the PhD exam committee were Prof. Sergio R. Idelsohn (ICREA Research Professor at CIMNE, Chair); Dr. Ramon Codina (UPC·Barcelona Tech) and Dr. Roland Wüchner (Technische Universität München). 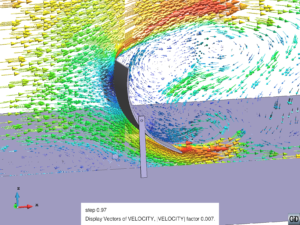 The thesis investigated the use of stabilized finite element formulations in the context of turbulence modeling and explored their relationship with large eddy simulation (LES) models. The research work involved implementing and validating a distributed memory parallel finite element solver for turbulent flows designed to work in HPC clusters. The models used in the validation phase, containing up to 17.7 million nodes and 102 million tetrahedral elements, were prepared and meshed using GiD, which was also used to visualize and process the results of the simulations.